We typically lose up to a hundred hairs a day from carrying out activities such as washing and brushing our hair. Some people however lose more hair due to conditions such as alopecia, thyroid problems, lupus and diabetes, as well as treatments for cancer like Chemotherapy. Obvious hair loss not only alters a person’s physical appearance but can also impact their mental state. It can have a number of psychological effects, which is why many people seek to get their hair back through hair loss treatments and hair transplants. Over the years, pharmaceutical companies have invested billions of pounds in researching the causes of hair loss, as well as suitable treatments. You can step into a pharmacy or even a supermarket today and be presented with a whole host of products designed to tackle every hair loss condition from thinning to baldness. Unfortunately finding a product that actually works can be difficult. Many people end up spending a lot of money only to see very little improvement to the condition of their hair. If shop-bought treatments don’t appear to be working for you, you may want to consider using a herbal remedy like cinnamon oil. Does cinnamon oil actually work? Although there is no solid scientific evidence that cinnamon oil is beneficial to those suffering with hair loss, many people have experienced great results from using it. One of the reasons it is thought to be effective is the fact it stimulates the scalp and increases blood circulation. Proper blood circulation to the hair follicles is essential for healthy hair growth. Cinnamon oil also contains chemical compounds like Eugenol and Cinnamaldehyde, which have antiviral, antifungal and antibacterial properties that can help to fight of fungal and bacterial infections that can affect the scalp. The healthier your scalp is, the more chance you stand of growing a healthy head of hair! If there’s one thing for sure it’s that cinnamon oil is full of antioxidants, which are great for banishing free radicals, reducing inflammation and preventing UV damage. So whilst cinnamon oil isn’t scientifically proven as a good hair loss treatment, it certainly has a number of great properties that can help to promote healthy hair and scalp. One of the easiest ways to apply cinnamon to your hair is by making a paste. To do this, you will need to take your cinnamon and two tablespoons of honey and combine it with olive oil to make a paste. You then simply need to smother it onto your scalp and leave it for around fifteen to twenty minutes, before washing it off with shampoo and water. Some places sell cinnamon oil in a bottle but if you can’t find it, the method above will work just as well. You may also find that cinnamon oil is an ingredient in hair loss treatments sold at your local supermarket. Again, we can’t guarantee that these will work, so it’s up to you whether you spend the money or save it by making a home remedy. 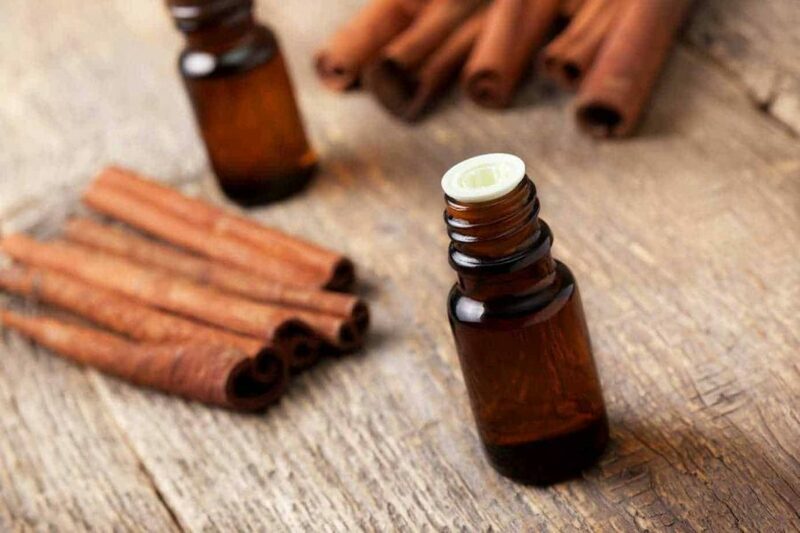 Please keep in mind that using cinnamon oil in a concentrated form can potentially cause skin irritation and sores. This is why we highly recommend doing a small patch test before using it all over your scalp. You also need to exercise caution if you are pregnant or breastfeeding, taking diabetic medication or blood thinners or have a hormone sensitive disease. If in doubt, contact your GP for advice before using cinnamon oil as hair loss treatment. Looking for a more certain outcome? A hair transplant will offer just that. Contact us today on 020 7935 1861.